THE SHOW IS HAPPENING! BE SAFE BUT PLEASE COME! If you're looking for an unforgettable experience on Valentines, this is it. KISS & TELL! 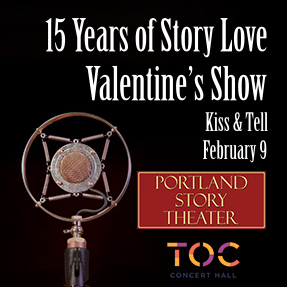 Real, true love stories --- KISS & TELL delivers on the promise of a romantic evening --- young love, old love, queer love, true love, and lovesick love, all woven together in an intimate evening of story theater.